Guests at this lovely new model home are greeted by a covered entry. The foyer leads past two bedrooms and a bathroom to an open entertaining space, featuring a great room, dining room and impressive kitchen with stylish slate appliances, quartz countertops and a center island. Adjacent is the spacious master bedroom, which showcases a walk-in closet and private bathroom with a barn door and dual sinks. 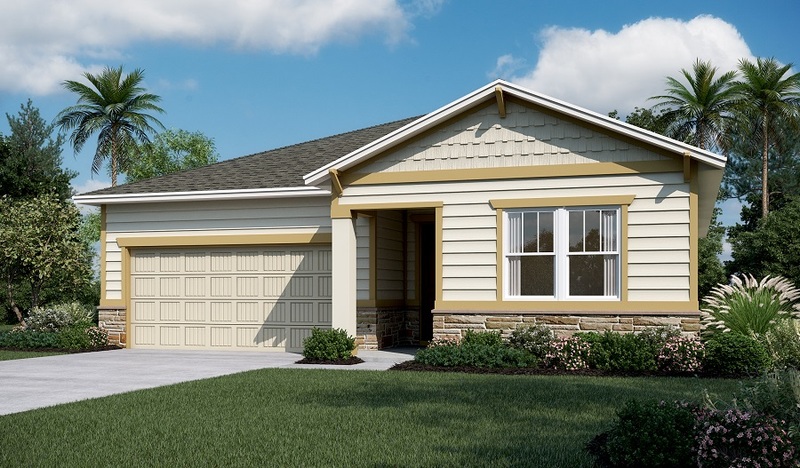 You’ll also love the covered patio, recessed lighting, tech center, bedroom ceiling fans and more!